Italian industrial designer exported to Scandinavia. Interested in arts and graphics, I worked as graphic designer since 2003. I am interested in everything that is digital, still in love with analogic. Looking forward to fun jobs in southern Sweden and Copenhagen. My current objective is to work for a dynamic company and establish new contacts in Sweden. In the meanwhile I keep myself busy (and in shape) freelancing in Italy. 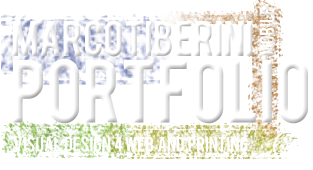 Graphic and web designer with 7 years of experience in different markets. I aim for beauty, ease of use and visual appeal, balancing these elements to achieve the most suitable solution for every project. Graphic designer, consultant @ Myenergy.it, Italy. Fair stand design, advertising and brochures. Illustrator, consultant @ OTE srl, Italy. Illustrations for an online language course, digital coloring. Graphic designer and marketing support @ AGS Energy and AGS Spa, Italy. Design of brochures, powerpoint presentations, large size prints and many other advertising products in order to promote the company’s brand to its clients. Website management: concept and realization ( graphics, html and flash programming, keywords analysis). Web designer (interface usability), consultant @ Meetic, Italy. Garden lighting designer @ Granliden, Ludvigsborg (Sweden). “Lights in Alingsås”, workshop. Lighting of a Methodist Church, Alingsås (Sweden). Graphic designer @ Cultural Activities Bureau of the Politecnico di Milano University, Italy. Layout and Graphic design of Brochures, Magazines, Fliers promoting the Bureau’s activities. Graphic designer stage@ Cultural Activities Bureau of the Politecnico di Milano University, Italy. Support to graphic design of advertising products for cultural events organized by the university. Swedish: good (spoken), basic (written). In my free time I collaborate in different musical projects and productions (see as an example www.switmusic.net).